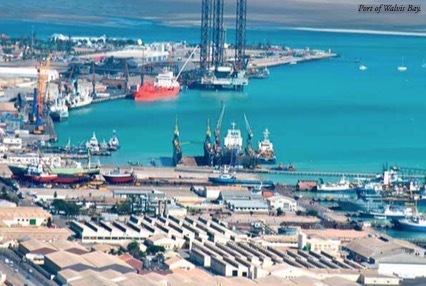 In Namibia, Namibian Ports Authority (Namport) has invested $1.373 million in upgrading its railway infrastructure, which is the first time new investment has been made in the network since it was established in 1994. Within the country's main export port of Walvis Bay, all rail infrastructure is owned and maintained by Namport. However, despite this, planned renovation of the system slated to take place more than five years ago was never undertaken. As part of the recent upgrade, the main feeder line into the port has been modernized, while other sections of track have had to be completely rebuilt. This has involved the laying of new rails and sleepers, as well as re-ballasting.